yoga, karadi sadhana and archery. I don’t know why people have given up the skill of archery in the present day. 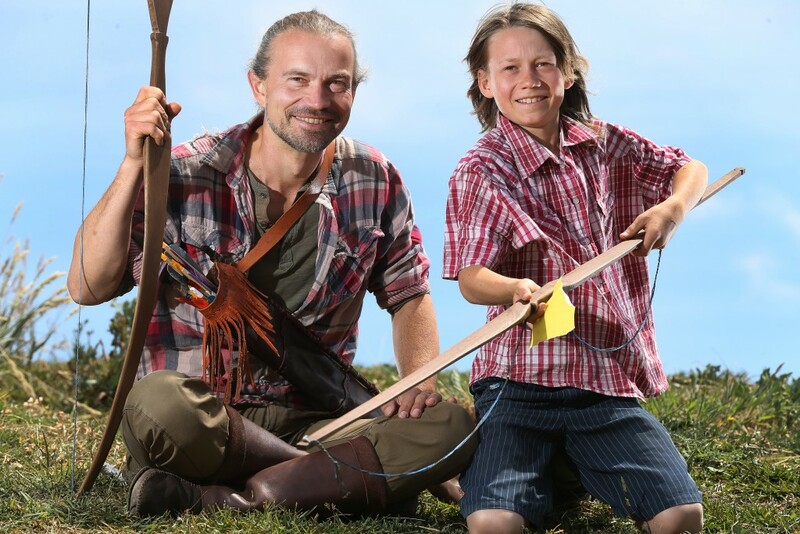 You will come away from the workshop with the knowledge and skills to make your own longbow. You will learn how to make a bowstring that perfectly complements your own bow and understand the art of tillering, the process of carefully removing wood to cause the bows to bend in optimal arcs. Students will learn how to tiller their bows to precise measurements of draw length and draw weight depending on the archer. After the bow is functionally finished, it comes time to bring the bows to an aesthetically pleasing finish with fine sanding and oiling. During the second day afternoon the bows are ready for students to take to the shooting range to learn how to shoot. You will get your introduction to the instinctive shooting method. A powerful tool you can also utilise in many daily life situations. 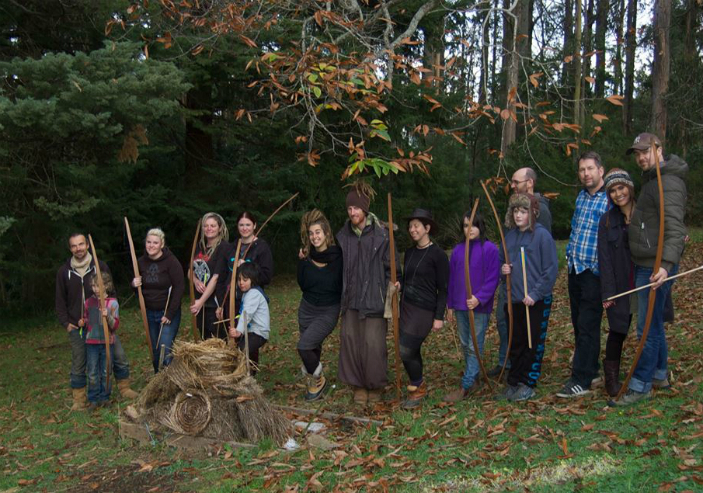 This workshop offers much more than making a longbow. It shows you ways to reconnect, to ground with the Earth, to get in touch with your true self by exploring the art of making a longbow and learning the skills to use it; to play with your conscious awareness to allow essential aspects of your being to be/unfold/shine or hide. If adding more people all fields must be filled out! Please note that full payment is required before the start of the workshop. A clamp and a work horse. Optional: your working gloves and your own tools(rasps & files) ALL TOOLS PROVIDED. It is understood and agreed that Narrative Yoga will not be liable to the Customer, or any agent or associate of the Customer, for any mistake or error in judgment or for any act or omission done in good faith and believed to be within the scope of authority conferred or implied by this Agreement. 1 A change in personal circumstances of the ‘Ticket Holder’ does not entitle the return or the exchange of the ticket. However they can be transferred to another person as long as you notify us at least 48 hours before the event. A $20 handling fee applies. 2 Children under the age of 18 must be advised of their responsibilities by a parent or legal guardian. 3 Children under the age of 12 must be under the care of a parent or legal guardian at all times. 4 Narrative Yoga reserves the right to add, withdraw or substitute any elements of the program or vary the advertised ticket prices or patron capacity. 5 Community standards of behaviour are expected and persons deemed to be behaving in a manner that is dangerous or unacceptable will be refused admission and/or removed from the site. 6 Deposits are not refundable. Purchase of ticket and/or entrance to Narrative Yoga workshops indicates acceptance of the following warning: The property/venue you are about to enter is a provider of recreational and educational services and activities, where you are further warned and advised that Narrative Yoga and/or the land it is staged on is an inherently dangerous place that may contain all manner of obstacles, risks and dangers, both known and unknown, natural and man made which may result in loss or damage to your property, personal injury or even death. Knowing this to be the case you voluntarily assume the risk of serious injury or death if you choose to come onto the property and do so at your own risk. The decision to take part in the workshops is ultimately yours, as is the responsibility for whatever results come from that decision. 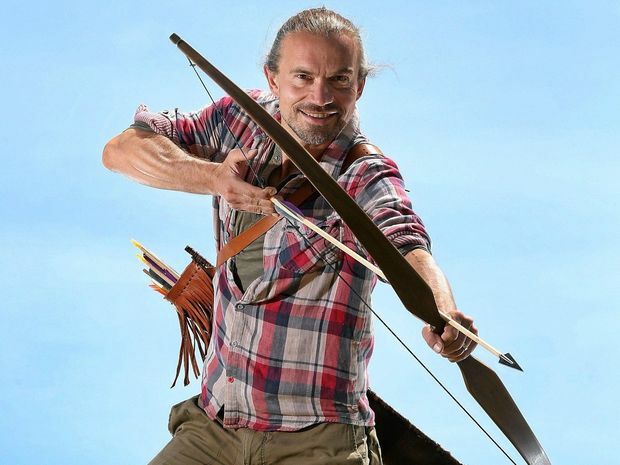 The workshop involves the use of body movement, sharp tools and arrows, and facilitator will do their best to make all participants aware of the inherent dangers of their particular workshop and relevant safety guidelines, however you (or you for your child) are responsible for using your own judgement and common sense when doing anything. If you (or your child) do attempt something and suffer injury at the workshop, I will of course do everything I can to help. In the end we are in a natural and often unpredictable environment….if you want a safety cocoon it might be best to stay home. While I believe in taking full personal responsibility for our actions, all participants will be asked to sign a waiver on entry to the workshop. Everyone (including the host and their guests, helpers and family) who enter the workshop space does so at their own risk. The Workshop organisers accept no​ liab​ility​ for any injuries or issues arising during or from the workshop. You agree to the private and refund policy from Narrative Yoga. 1 A change in personal circumstances of the ‘Ticket Holder’ does not entitle the return or the exchange of the ticket. However they can be transferred to another person as long as you notify us at least 48 hours before the event. 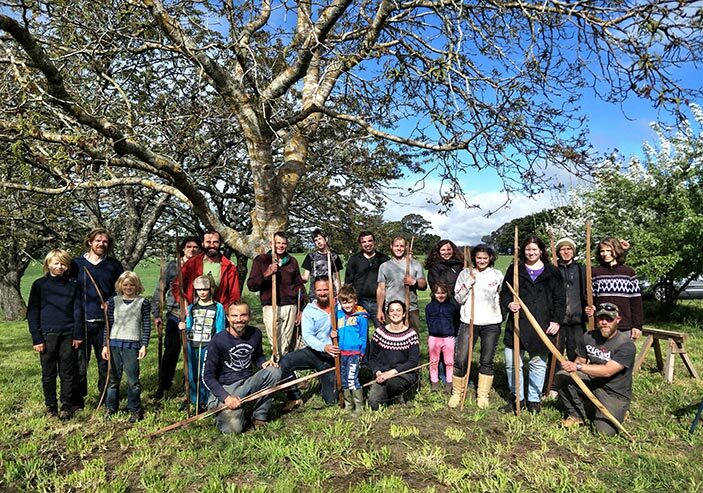 The longbow workshop in Trentham a couple of weeks ago was the best! My son and I enjoyed bonding time in the company of a friendly group of likeminded souls. Best of all, we made something together that we will cherish and look after for a lifetime…reminiscent of the toys and tools of my own childhood. A bonus is the time my son spends daily (!) honing his newly discovered archery skills 🙂 The longbow workshop was a beautiful and enduring experience for us both. Thanks Lars!